Oh my! 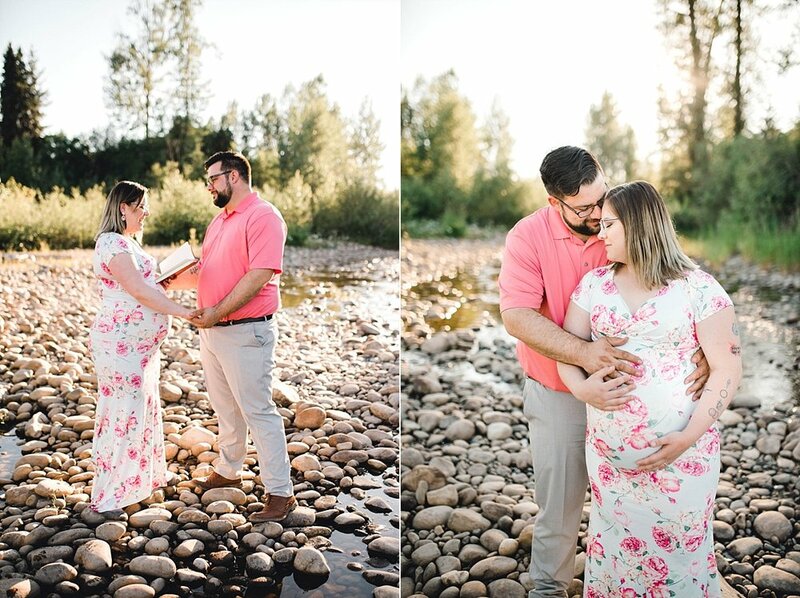 I cannot get over the cuteness of this session. 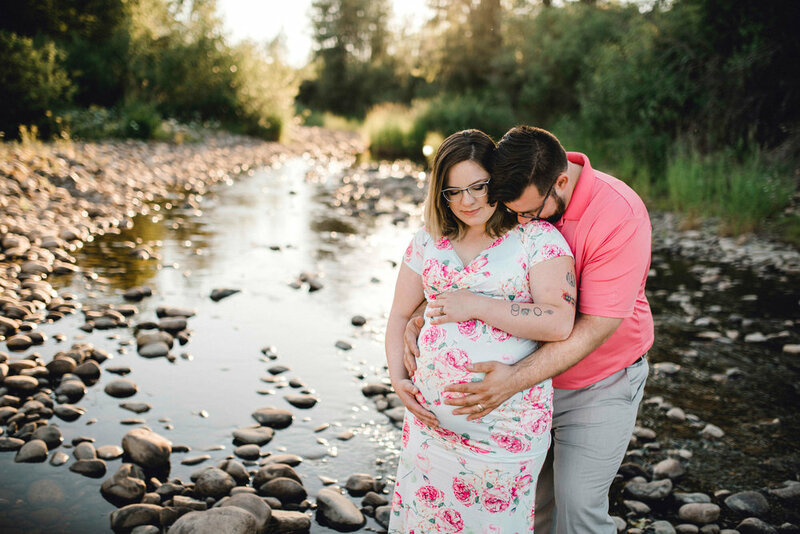 The location and time of day were absolutely perfect, and John and Deidre were a dream to work with! 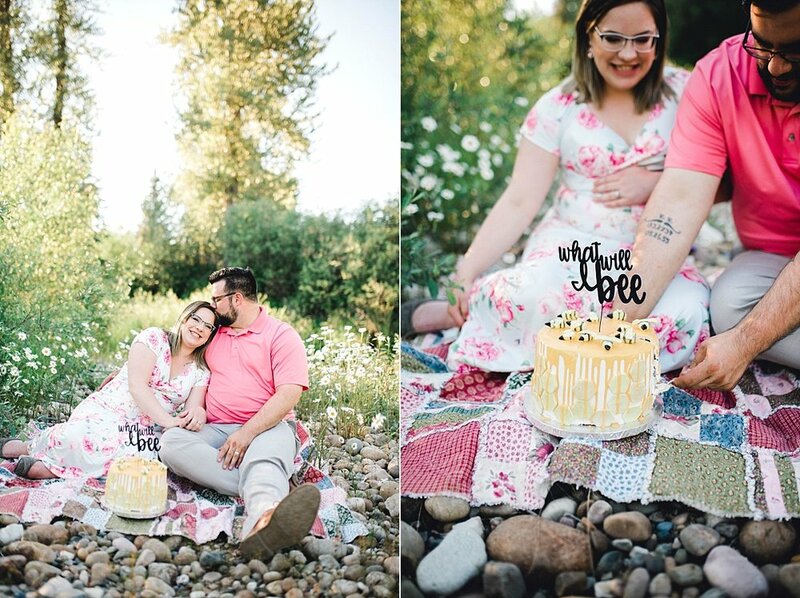 We started the session with the yummiest cake and a gender reveal that could have been professionally made! Deidre and one of her friends made it and I personally think that it turned out perfect. Plus, it was absolutely delicious! 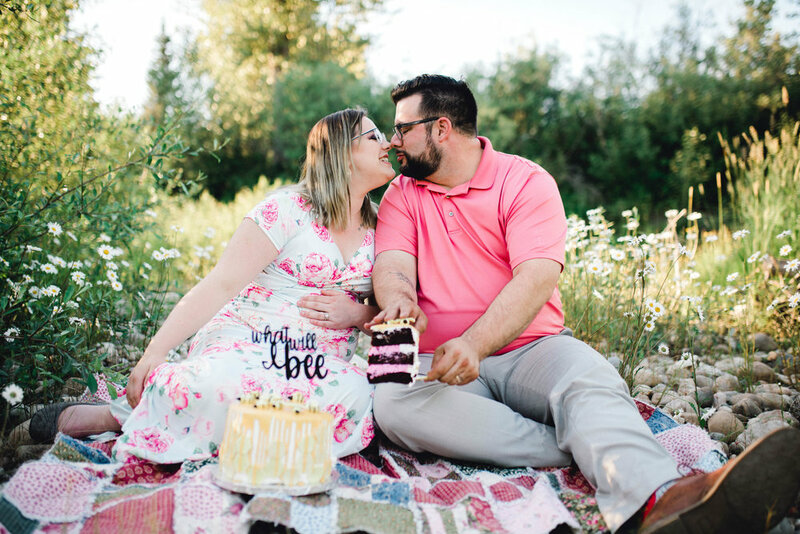 John and Deidre knew the gender of their little one, but this was specifically for sharing with their friends and family in a cute way! Next, they renewed their vows! 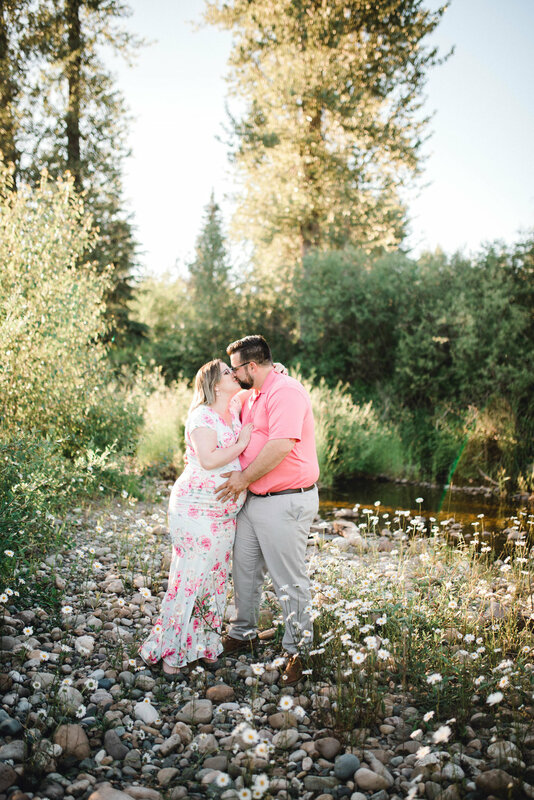 They were the sweetest and I would have shed some tears if I wasn't trying to be super quiet as I slipped on the wet rocks and almost fell into the riverbed, camera in hand! It was the perfect setting. The sun was setting, casting the most beautiful golden light down on them as they read their vows to each other. Now the super unique thing about this little munchkin who is about to join John and Deidre, is that her name has a very special meaning! Deidre and John have chosen to name their child Lillian, after Deidre's Great-Grandmother on her mother's side. After a name was chosen, Deidre found out that her Great-Grandmother on her father's side was also named Lillian! That seems like fate to me!